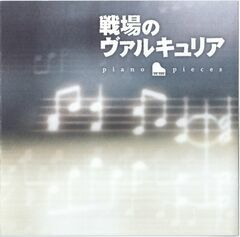 Senjou no Valkyria Piano Pieces (戦場のヴァルキュリア Piano Pieces) is an album containing piano music from the Senjou no Valkyria series. The album was also made available as a digital download on Amazon (Japan only) and iTunes, with individual tracks costing ¥200, US$0.99, £0.79 or €0.99, as well as the Japanese music sites Mora.jp and Listen.jp. The western name for the album on iTunes is Valkyria Chronicles Piano Pieces.